Yeul and Serah are the same. They are both Seers, bearers of the Eyes of Etro. They’re at odds with one another because they have to be, but it isn’t a rivalry. They stand at the side of those who act upon volatile emotions - Noel and Caius, respectively - and are exhibited as calming, removed figures. Not necessarily as someone who is above it all, but someone bold and fearless, someone who has a secret… the secret of having accepted their shared fate. Yeul never asks to live; she knows the exact moment when she will die, and never asks for more. She never wants it for herself - her only concern is the preservation of the timeline, and she supports Serah’s journey. 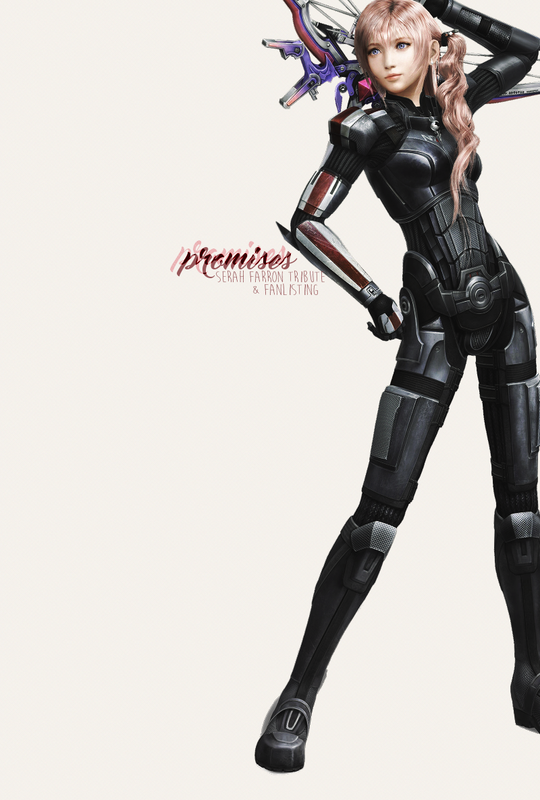 Yet she stands with Caius. He’s her Guardian, and the only person she’s allowed herself to become attached to. He’s the only person she can ever truly know, the only person she would wish to live longer with, and the one person that matters to her more than the world itself, just as Lightning is to Serah. But, as Yeul is the same as Serah, her humanity guides her and the world and her duty to it remains the priority. It’s a self-sacrifice they are willing to make. Yeul understands Serah as Serah understands Yeul. If neither of them live, but they are remembered, that’s fine. Their similarities are marked in their other actions too. Yeul is to Serah what Serah was to Final Fantasy XIII - a catalyst, a non-fighter, a person of worthy motivation. Serah knows Yeul’s forced inaction well, because she was that person once. But with her gift Serah changes things - which is something Yeul cannot do by oath, but it’s not something she is against. That’s what Serah does with her visions. She makes a better world - she’s done it once before when she became a l’Cie. And if it’s a new future, where everyone is happy and smiling, then Yeul would like to see it, even if it kills her to do so. With a shared fate, and that fate being something so particular to what makes a Yeul a Yeul, it is likely Serah’s soul closely resonates to Yeul’s. They’re kindred, alike... whilst all humans have the capacity to see to the future theoretically, a seeress is not a common thing. Has it manifested in others throughout the worlds of Cocoon and Gran Pulse? Maybe, but never to someone so much like Yeul in wants and dreams, and even she is not someone who has the power to change the future she sees. That is solely Serah’s responsibility and burden. Serah is also not just a teller. Yeul’s visions are impacted upon her by outside changes: Serah’s visions are as a result to her own timeline altercations, making them self-inflicted. And whereas Yeul gets forever to bear witness to human history, Serah only gets one shot at it.